Periodontal disease is very common in adults and severe periodontal disease may occur in up to 20% of the population. Conventional treatment involves scaling and root planing (SRP), over a number of appointments over several weeks. Over the past 15 years or so a more intensive treatment approach has been advocated where the whole mouth has been treated with or without adjuncts with a 24-hour period. The main objective of this updated Cochrane review was to evaluate the clinical effects of 1) full-mouth scaling (over 24 hours) or 2) full-mouth disinfection (over 24 hours) for the treatment of chronic periodontitis compared to conventional quadrant scaling and root planing (over a series of visits at least one week apart). Searches were conducted in the Cochrane Oral Health Group Trials Register, the Cochrane Central Register of Controlled Trials (CENTRAL), Medline, Embase, CINAHL, the US National Institutes of Health Trials Register (ClinicalTrials.gov) and the WHO International Clinical Trials Registry databases. There were no restrictions regarding language or date of publication. Randomised controlled trials (RCTs) of full-mouth scaling (FMS), comprising scaling and root planing of all quadrants within 24 hours or full-mouth disinfection (FMD), comprising scaling and root planing of all quadrants within 24 hours along with adjunctive antiseptic treatments (such as chlorhexidine), which could include rinsing, pocket irrigation, spraying of the tonsils and tongue brushing. Standard Cochrane methodological approaches were followed for study selection, data abstraction and risk of bias assessment and data synthesis. 12 trials reported in 13 papers were included involving a total of 389 adult patients. 10 trials compared FMS and control; 3 of these were assessed as being at high risk of bias, 3 as unclear risk and 4 as low risk. There was no evidence for a benefit for FMS over the control for change in probing pocket depth (PPD), gain in probing attachment (i.e. clinical attachment level; CAL) or bleeding on probing (BOP). 6 trials contributed to a meta-analyses comparing FMD and control, with 2 trials assessed as being at high risk of bias, one as low and 3 as unclear. 3 trials were included in the analyses comparing FMS and FMD. There was no evidence of a difference in PPD between the two interventions. There was a difference in the gain in CAL at three to four months (-0.25 mm, 95% CI -0.42 to -0.07, two trials, 45 participants), favouring FMD but this was not found at six to eight months. There was no evidence for a difference between FMS and FMD for BOP. Analyses were conducted for different teeth types (single- or multi-rooted) and for teeth with different levels of probing depth at baseline, for PPD, CAL and BOP. There was insufficient evidence of a benefit for either FMS or FMD. Harms and adverse events were reported in eight studies. The most important harm identified was an increased body temperature after FMS or FMD treatments. 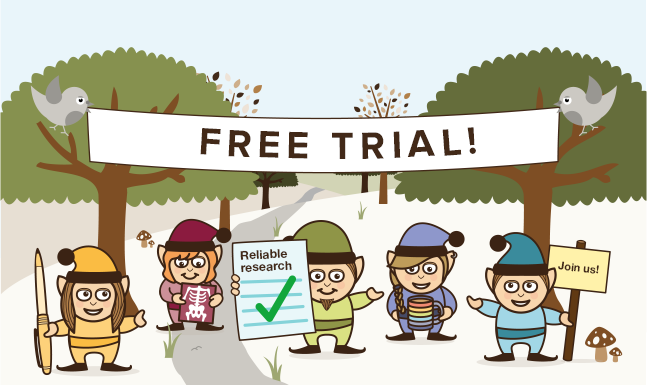 We assessed the quality of the evidence for each comparison and outcome as ’low’ because of design limitations leading to risk of bias and because of the small number of trials and participants, which led to imprecision in the effect estimates. The inclusion of five additional RCTs in this updated review comparing the clinical effects of conventional mechanical treatment with FMS and FMD approaches for the treatment of chronic periodontitis has not changed the conclusions of the original review. From the twelve included trials there is no clear evidence that FMS or FMD provide additional benefit compared to conventional scaling and root planing. In practice, the decision to select one approach to non-surgical periodontal therapy over another should include patient preference and the convenience of the treatment schedule. This Cochrane review updates a previous 2008 version and includes 5 additional trials. Despite the addition of these new studies the overall quality of evidence available is low. This means that further studies could change the outcome of the review. The review authors point out that new studies should follow the CONSORT statement for reporting and should also consider economic and patients outcomes and also be of longer duration 3-5 years in order to consider outcomes such as tooth loss. Eberhard J, Jepsen S, Jervøe-Storm PM, Needleman I, Worthington HV. Full-mouth treatment modalities (within 24 hours) for chronic periodontitis in adults. Cochrane Database of Systematic Reviews 2015, Issue 4. Art. No. : CD004622. DOI: 10.1002/14651858.CD004622.pub3. Periodontitis- full mouth disinfection or quadrant scaling?